Your Daily Horoscope Email Is Getting Even Better! We'd love to hear your feedback in the comments below! Be sure to look out for the new design in your inbox after June 15th! 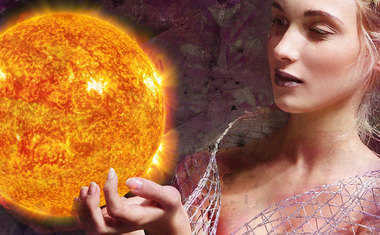 Remember, the trick to the most insightful daily horoscope is to read BOTH your Sun sign and your Rising sign. Don't know what your Rising sign is? Get a FREE birth chart from our Essential Birth Report here! 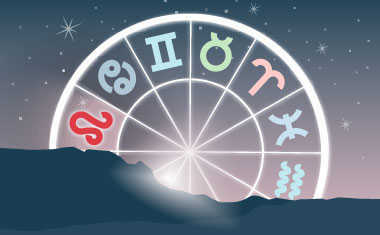 We're here with Rick Levine from Tarot.com, and we're wondering, how do you write your horoscopes every day? "I have special software I use to look at the chart for the day that I'm writing, and I look at whatever the most important aspects are for the day. So the combination of the Sun and the Moon, and what aspects the Moon is making to the other planets. I look at that and then I write an overview for the general feeling of the day. Then I take that chart and rotate it one sign at a time so that each sign shows up on the eastern horizon, or is Rising, and that way I can look and see what the energy is like for each of the 12 signs." 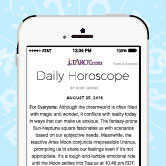 What makes your horoscope different from others that are out there? "No matter what's going on every day, I try to describe something about the energy that's going on. Then I try to give the person something they can do positively to make use of that energy. Astrology is not about defining what's going on. It's about defining what's going on so that we have more ways to act and we can take control of our lives, live our lives better, and live more fully, and that's what make mine different."